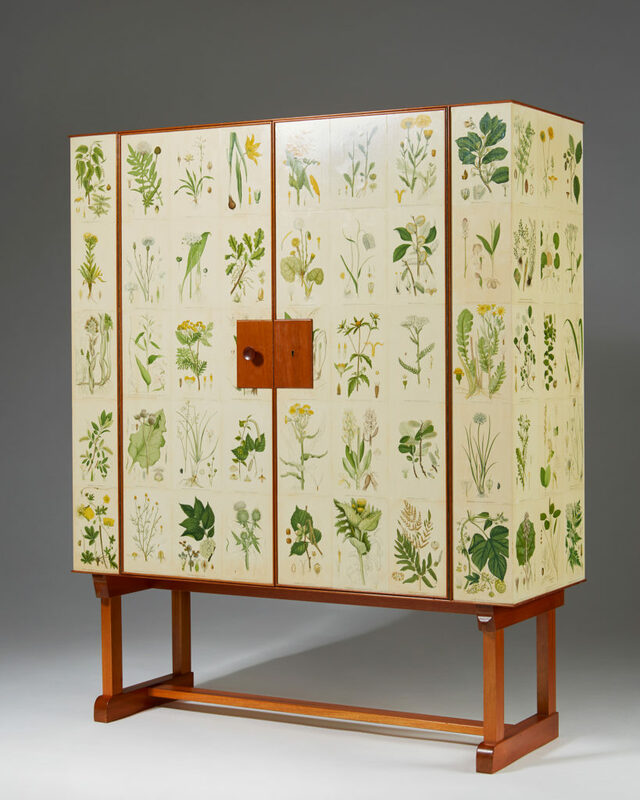 Mahogany, oak and hand coloured paper. 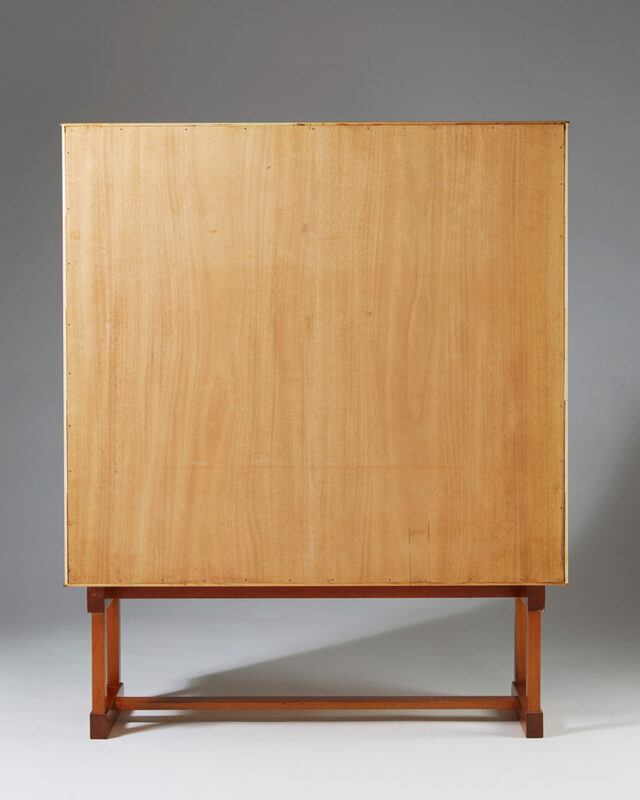 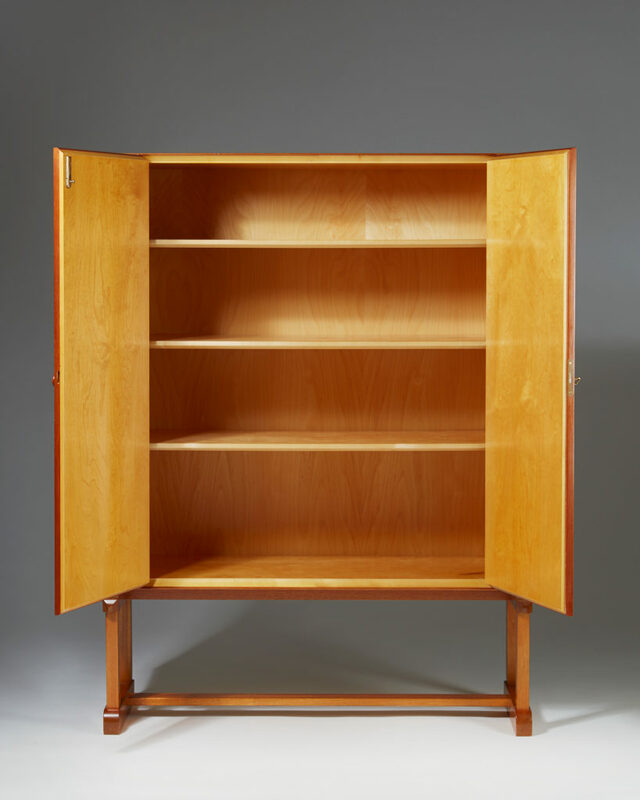 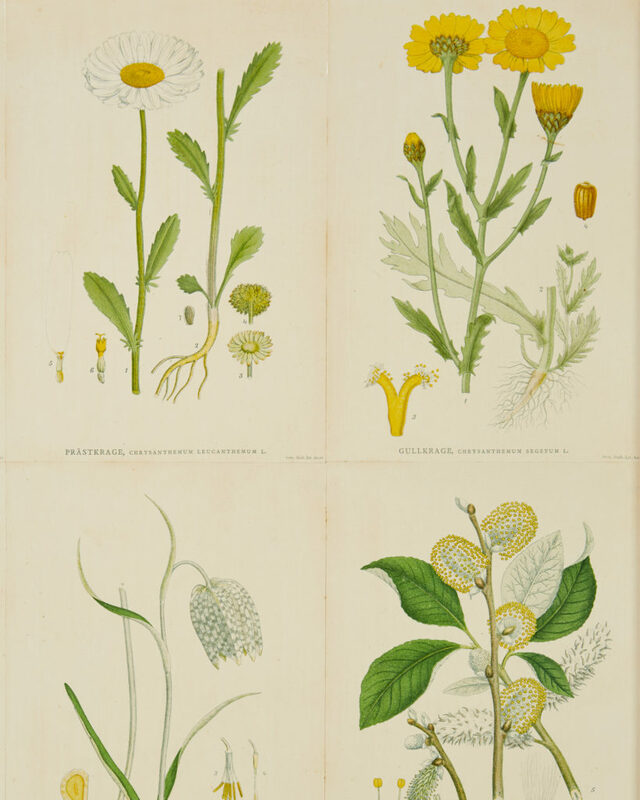 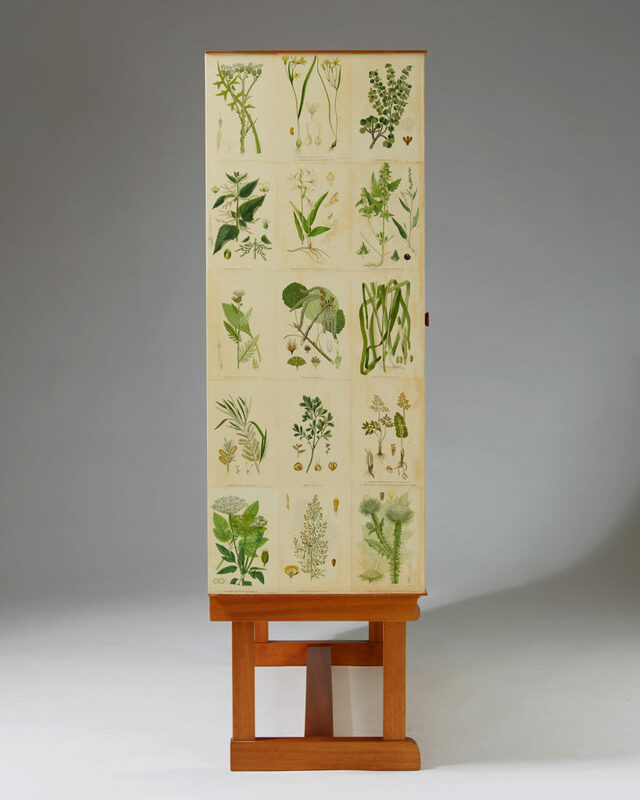 H: 153 cm/ 5' 3/4"
W: 117 cm/ 3' 10"
D: 42,5 cm/ 16 1/2"
A perfect example of this ideology is the presented Flora cabinet. 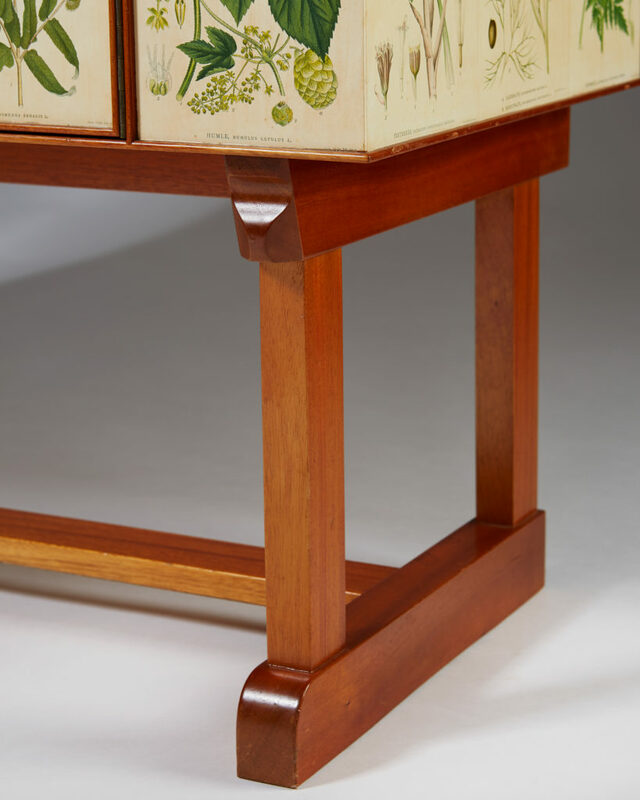 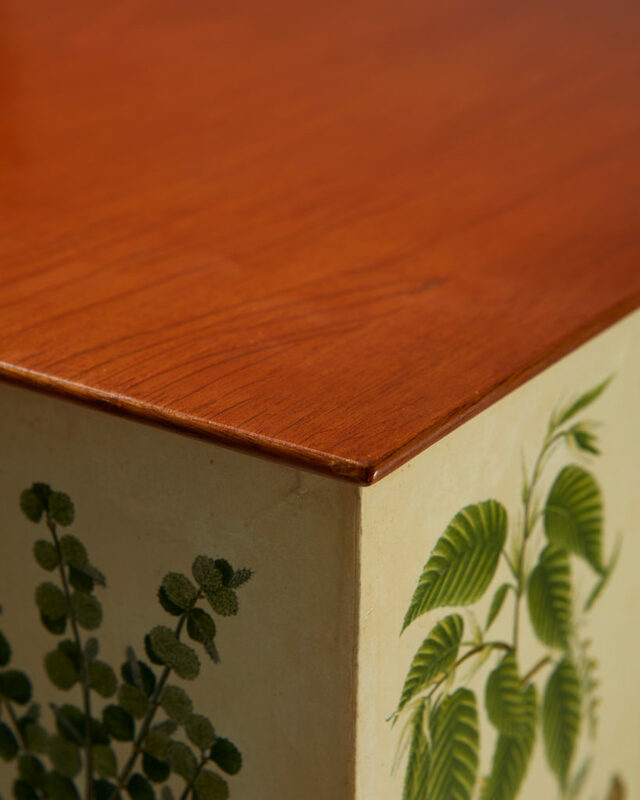 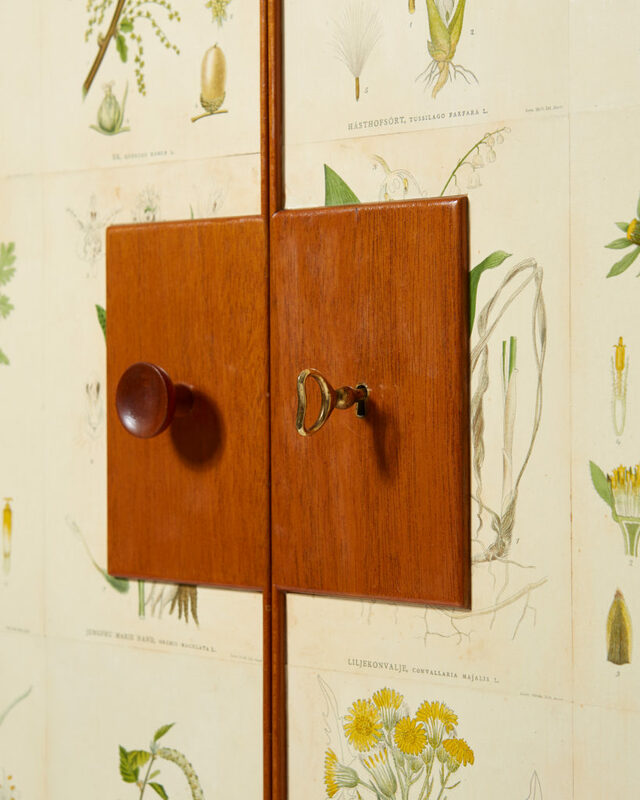 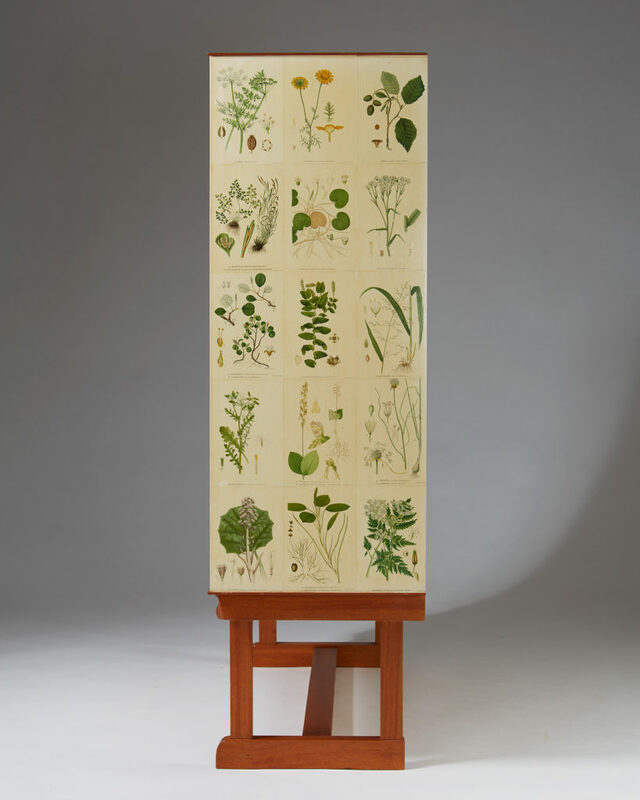 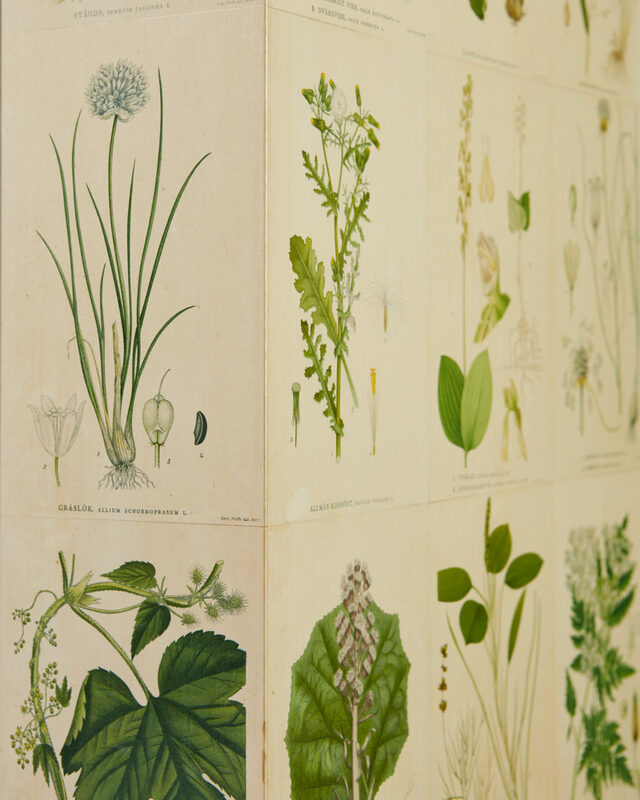 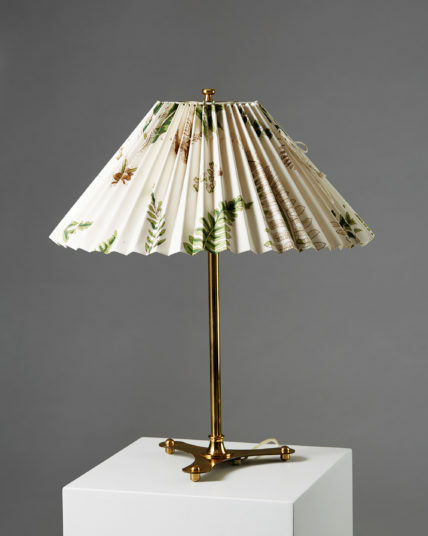 For this project, Frank used hand-coloured botanical paper prints from Carl Lindman’s book 'Bilder ur Nordens Flora', which he then delicately applied onto the mahogany front of the piece. 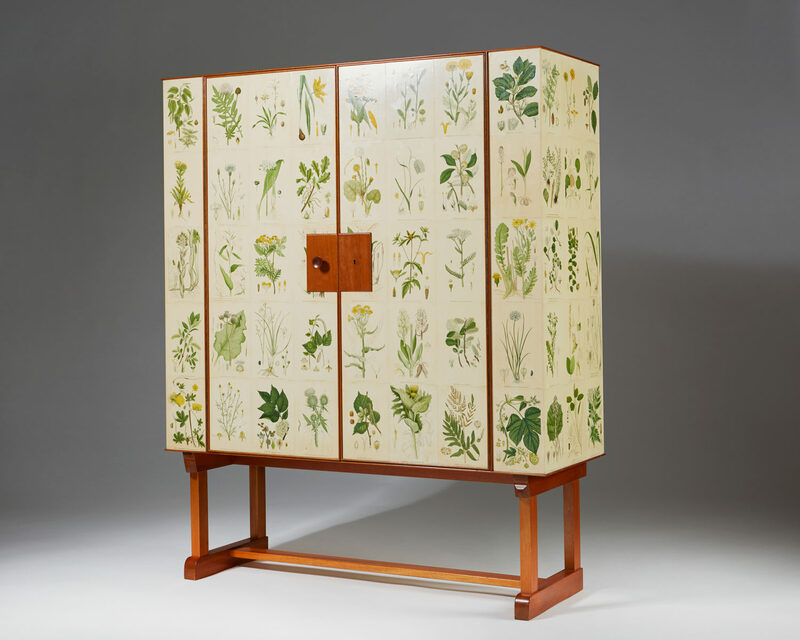 The contrast between the delicate floral motifs and heavy wooden form instils the cabinet with a light, playful and organic sense. 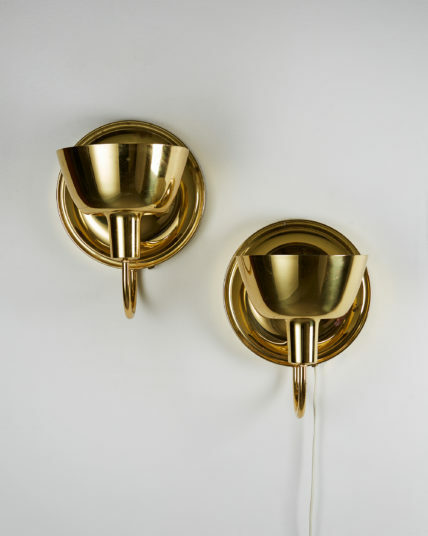 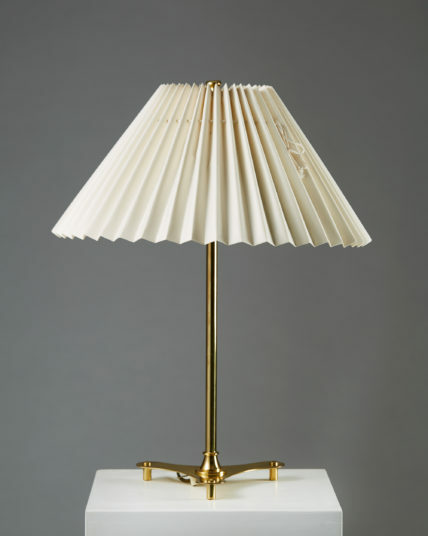 Contrasting materials evoke an echo of the past, but create an indisputably modern piece. 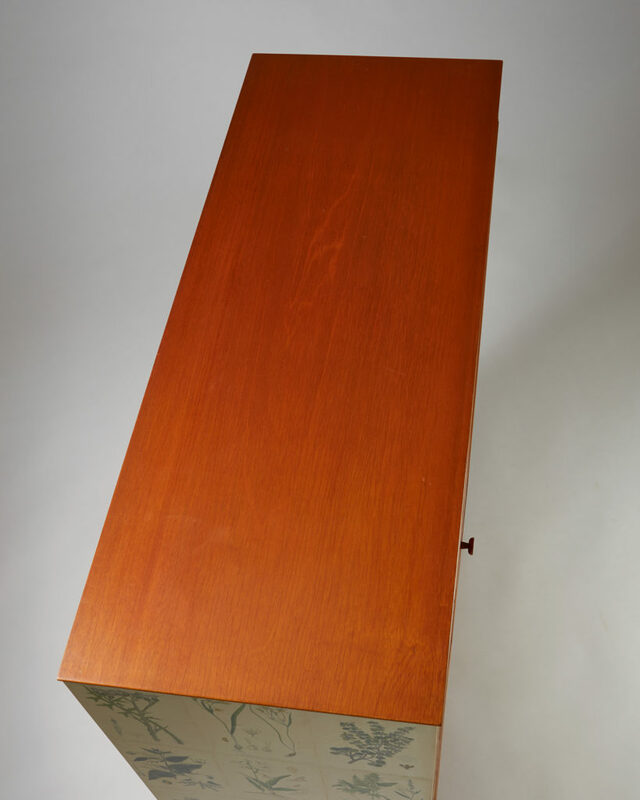 Cia Wedin, "Florabyrå Linné", Stockholm 2007, p. 44-45. 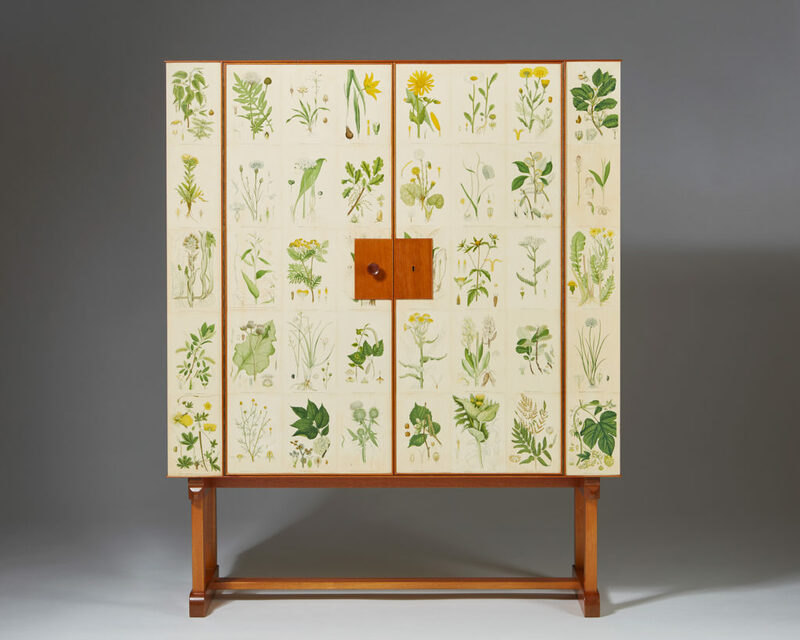 Kristina Wängberg-Eriksson, Jan Christer Eriksson, "Josef Frank Möbelformgivaren", Talinn 2014, K71. 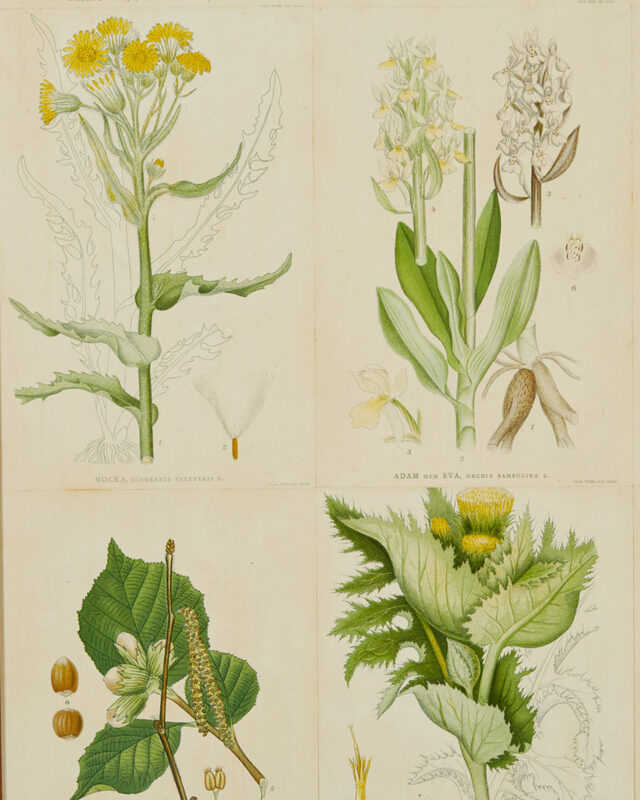 Drawing dated 1938.